← a christmas present… the brownbread mixtape podcast – coming in 2012! Marc O’Reilly is an exceptionally gifted guitar player and singer based in County Waterford. Without a shadow of a doubt, he is the real deal. As you sit mesmerised watching his fingers dance on the fretboard, you are silently drawn in by his bluesy, boozy voice. His debut album “My Friend Marx”, released last year, is a terrific piece of work, but it is in a live setting that Marc truly astonishes. His star is clearly in the ascendant and that should come as no surprise to anyone who has seen him perform. 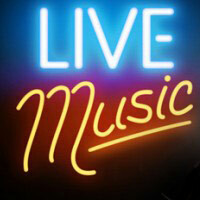 Find out where he is playing next and go there. You can thank us later. Fia Rua is a genuine troubadour and he sings terrific songs that are a blend of folk, punk and trad that he makes completely his own. With a voice that sounds steeped in centuries of experience, he bends wise words around magical melodies. His recent album “Falling Time” is a brilliant snapshot of modern Ireland and we heartily recommend picking it up, but it is in a live setting that Fia Rua truly excels. Seek him out, you will be rewarded. We were extremely lucky to have the critically acclaimed North Carolina songstress perform songs from her upcoming album at our first show of the year. She was joined by our very own Enda Roche on percussion and the inimitable Christophe Capewell on violin. Stunning lyrics, delicate melodies, enchanting performance. Travelling folksters Harry Bird and the Rubber Wellies wowed us with their warm spirit and their intimate cabaret of joyful sing-a-long choruses and general participatory fun. Based in Bilbao, Dublin and Groningen they spent the last three years touring Ireland, the UK and mainland Europe playing bars, cafes, theatres, circus galas, festivals and even punk clubs! Their debut album Long Way to Be Free, a home grown collection of songs exploring love, faith and displacement in a world of contradictions, is an absolute joy and comes highly recommended! Our old friend Pearse McGloughlin joined the brownbread mixtape at our monumental Electric Picnic show, which, by his own admission, was his best ever gig. A tent filled with 200+ people roared in appreciation to his masterful songs and he closed out his set with this terrific rendition of his song “Ag Ól Ag Ól Ag An Garbhóg”. He was ably assisted by co-songwriter Enda Reilly, as well as percussive accompaniment from Fia Rua and our very own Enda Roche. A wonderful moment from a wonderful gig. The eclectic, eccentric, excellent Robotnik played an absolutely unforgettable set at the brownbread mixtape, with a performance that incorporated delicate a capella songs, grandiose electronica and a unique rendition of the “Pat the Baker” jingle. Robotnik made a huge impression on both the audience and us, resulting in a regular slot for The Brownbread Players’ sketches on his 2XM radio show “Robotnik’s Random Rampage”. His second album is currently int he works and we eagerly await it. So should you. Not only is Andy a virtuoso on guitar, but he has a stunning, raw, bluesy vocal to match. A monstrous talent with a shining career ahead of him. Crazy Dog Audio Theatre is the brainchild of writer/performer/musician and all round renaissance-man Roger Gregg. We were thrilled to have Roger and his raggle taggle troupe at our show as they delivered a vaudevillian array of songs and poems in superb fashion, ranging from Weimar style cabaret songs to contemporary comic poems. Roger is also the driving force behind the Bee Loud Glade Cabaret sessions, where contemporary Irish poems are set to original musical compositions. It is a fantastic night of entertainment, so make sure you catch it. Their next show promises to be their greatest yet. Niall is the charismatic lead singer of Reader’s Wives and we were treated to a rare solo acoustic performance. His set was peppered with wacky asides, cool chord progressions and this cheeky and charming rendition of his song “Sexually Attracted to Myself” was the standout moment of his set. As catchy as it is quirky! Justin is a wildly gifted violin player and when you add his songwriting capabilities to the mix, as well as his ability to innovate and layer using pedals, loops and electronic knowhow, you have a really unique, exciting artist. His musical output is prolific and he tours regularly both in Ireland and abroad, so make it your duty to see him in his element at a live show. It will bowl you over. The current inimitable, impossibly brilliant incarnation of The Guilty Folk grew out of a chance reuniting of old friends at a very early brownbread mixtape. Since then they have gone on to become one of the funniest, bawdiest, boldest and most harmonious songwriting folkers. As rude as they are revelatory, they are a comedic and musical force to be reckoned with. 2012 promises to be their year. We love them. You should too. And that was pretty much that as far as the music goes. We throughly enjoyed every minute of it and we hope that you did too. Check out our YouTube channel for loads of other brilliant performances from this year and last year. 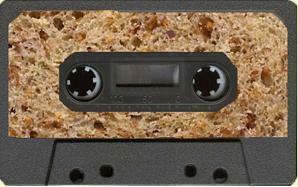 Spread the word about The Brownbread Mixtape. Please share this page or the individual YouTube links with others if you dig them. Brilliant! Just stumbled across this there now. We at Citóg wish you all the best!